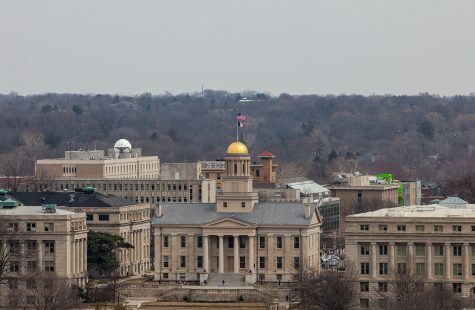 Despite the Iowa Legislature’s decision to cut $18 million from higher education as a result of a state budget shortfall, University of Iowa officials are aiming to maintain the institution’s excellence. 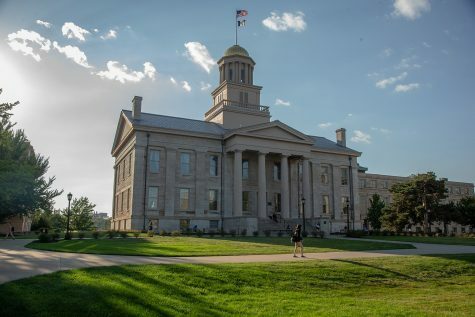 The state budget shortfall is only one component of the UI’s budget concerns, resulting in a reduction of $8 million in state appropriations. 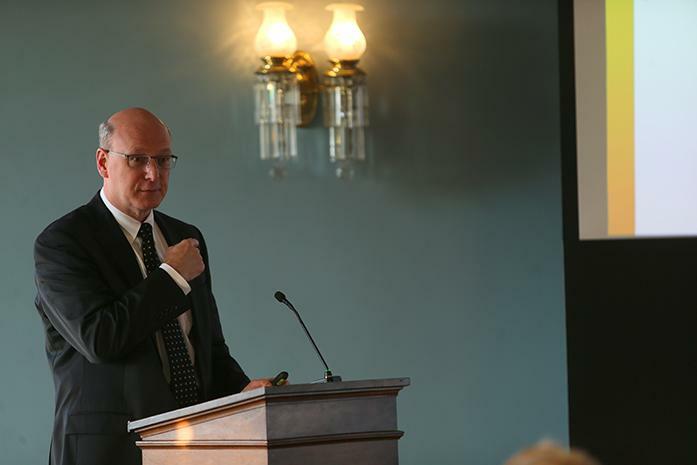 The UI has its own budget deficit of $16.7 million.Terry Johnson, the UI chief financial officer and treasurer, discussed the UI’s efforts to address the budget deficit at the Tuesday Faculty Senate meeting in the Old Capitol. 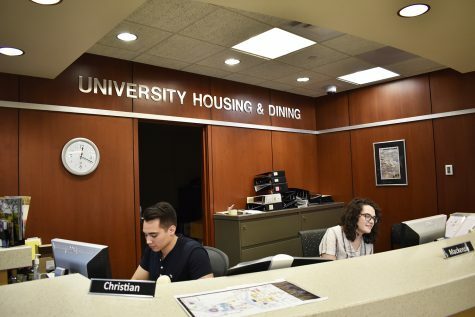 Johnson said a shifting makeup in the student body of resident, nonresident, and international students in part contributed to the deficit — particularly international-student enrollment, which declined this year. 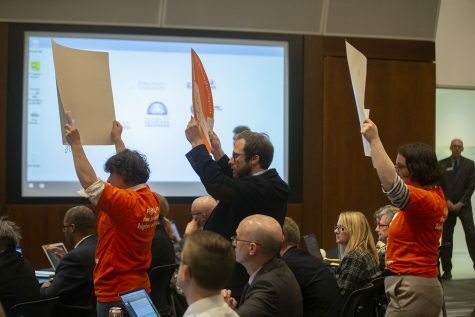 An audience member suggested the UI should consider money students spend on additional expenses such as housing and meals that contribute to high student-loan debt. Johnson said the UI is in the process of figuring out how to regulate student aid to an appropriate level while still incentivizing students to enroll. 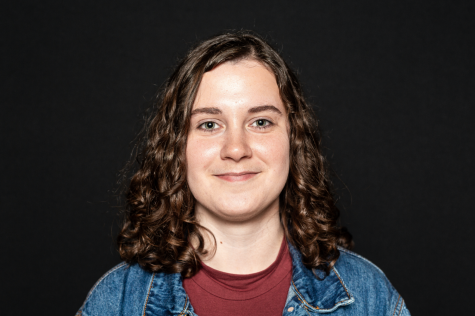 In addition to changes to general financial aid, the Summer Hawk Grant recently changed so students can take only six semester hours on the grant over the summer instead of 12 semester hours. 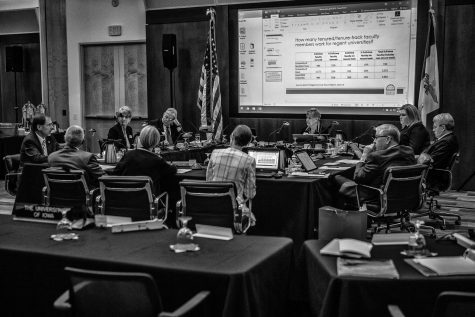 Money to make up for the deficit will come from several other places; of $24.7 million, $7.7 million will come from reductions in financial aid and $6.5 million from changes to the Summer Hawk grant. 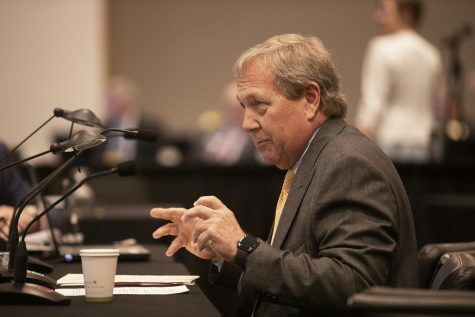 Johnson said UI President Bruce Harreld remains committed to certain initiatives, such as increasing the UI’s ranking, improving faculty pay relative to peer institutions and paying competitive salaries, and considering a range of factors — student success, quality metrics, UI values, and the future — when making budget decisions. Resmiye Oral, a UI clinical professor of pediatrics, raised concerns about ensuring colleges’ needs are met — especially the College of Liberal Arts & Sciences, which, she said, should receive support in the budget because the UI is a liberal-arts university — when resources are shrinking and considering Harreld’s efforts to gain support from private donors. “Our president told a funders’ group that we don’t need any more money, we just need to redistribute it more appropriately,” she said. 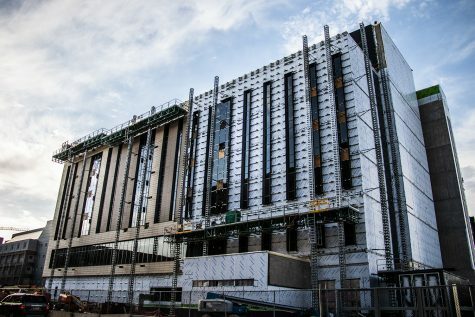 While there’s a common misconception that revenue has fallen, Johnson said, revenue has actually increased this year, though not as much as expected. He said Harreld has pushed for accountability in the budget-making process, particularly for deans of the various colleges. As the UI faces monetary challenges, Johnson said, Harreld is going to continue to advocate for the UI and to make the case for why the state needs to continue funding higher education. In a Jan. 26 statement to The Daily Iowan regarding the state budget cuts, Harreld expressed a commitment to fulfilling his initiatives. 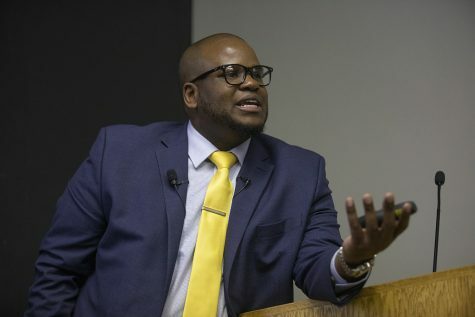 “We can’t lose the gifted educators and researchers who call the University of Iowa home, and we must continue to recruit talented people,” he said.